Wednesday was another studio record day for The Cool Stuff Collective. I will talk about what we did when the shows air in a few weeks. These were shows 3 and 4. Show 2 starts its run this Saturday. This show there were a few more lines to do, only short ones for atmosphere but that is very different from having the control of my tech slot where its pretty much down to me doing an adlib riff on the tech. Sy and I have had more time to prep as it is good to explain what the point of a piece is. Though for one of them it was a piece of kit that I had not had in the run up to the show, luckily it all worked out after a slight power hitch. What was even more interesting though was another camera crew from the BBC turned up. They were given permission to try out their camera kit whilst we were filming. This was a live production 3D camera, as you looked down the lens even from the set you could see the two giant lenses capturing the separated images. I was tempted to see if we could just do a feature on the camera and kit as a behind the scenes piece but that was all a bit short notice I think. It was great though to have such a cool set of gadgets used to show us talk about such a cool set of gadgets. Very meta! This week the floor cleared event quicker than last time as people start to get into a routine. 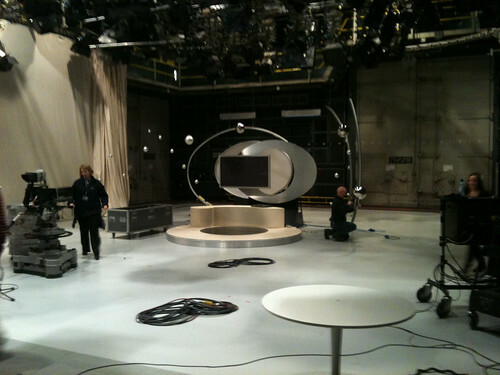 The set is broken up in hardly any time at all. It was a always going to a challenging shoot as Producer Matt was not there this week. Losing one person from the production team makes a massive difference, but huge congratulations to him and his wife on the birth of their baby boy. Yes its a Cool Stuff Collective Baby. The videos clips from last weeks show including the cloud computing and gaming piece we did is up on the official website, it is probably still UK only, and is topped and tailed with the Nerf sponsorship idents. It is of course slightly odd out of context as there are stories for each show and this one was the one we had all forgotten who Sy was, hence calling him Sid and being slightly dismissive. 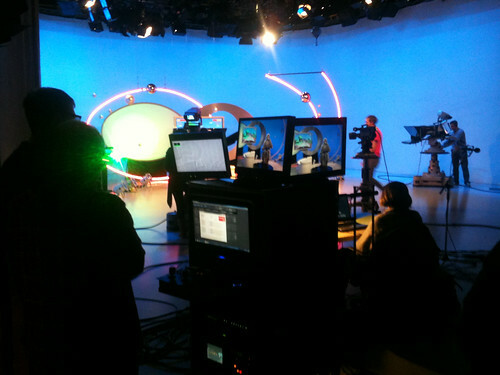 You can still catch the full show on CITV tonight at 5:30pm before the new show runs on Saturday at 9am.